Visit your dentist for an examination of your mouth, teeth and/dentures at least once a year, especially if you are having problems. Cut down on how often you have sweet drinks and foods, especially between meals. Clean teeth and gums twice a day with fluoride toothpaste. Remove any dentures at night to give your mouth a rest. You should use a suitable denture cleanser and keep your dentures in water when you are not using them. Quit smoking - it can cause gum disease, bad breath and even mouth cancer. How to look after your teeth - this section contains advice on toothbrushing and oral care products. 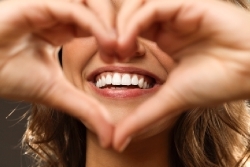 Your oral health is intrinsically linked to your overall general health and wellbeing. Signs of ill health such as diabetes and heart disease can show up in your mouth and be discovered by your dentist on examination. 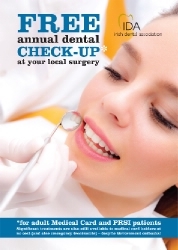 You can search for dentist near you by using our Find-A-Dentist section. The Dental Council of Ireland has produced useful guidance for the patients on Choosing a Dentist.